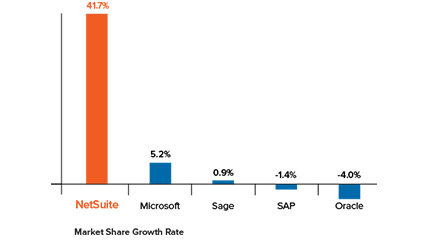 Cloud-based platform integrates core business processes. 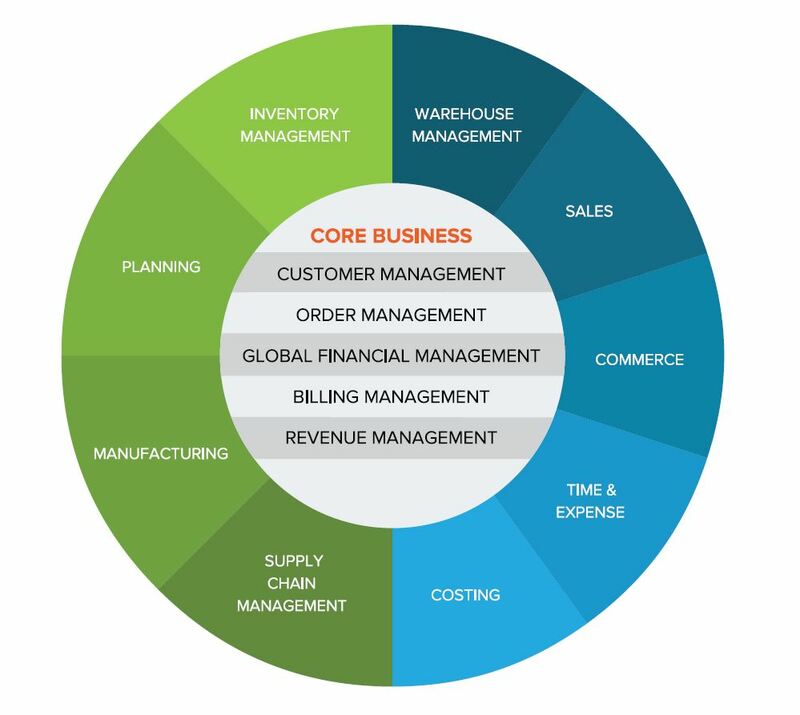 Get Accounting / ERP, CRM and ecommerce in a single, fully integrated solution that connects your business across finance, sales, service and fulfillment. 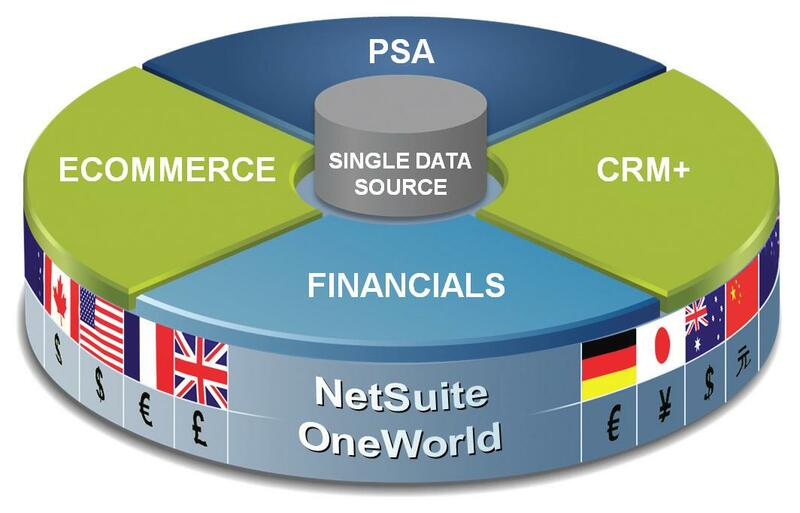 NetSuite OneWorld is the world’s most deployed cloud ERP solution for global businesses providing real-time global business managementand financial consolidation. NetSuite OneWorld seamlessly handles different currencies, taxation rules and reporting requirements across geographies and subsidiaries—at a fraction of the cost of traditional on-premise ERP solutions. 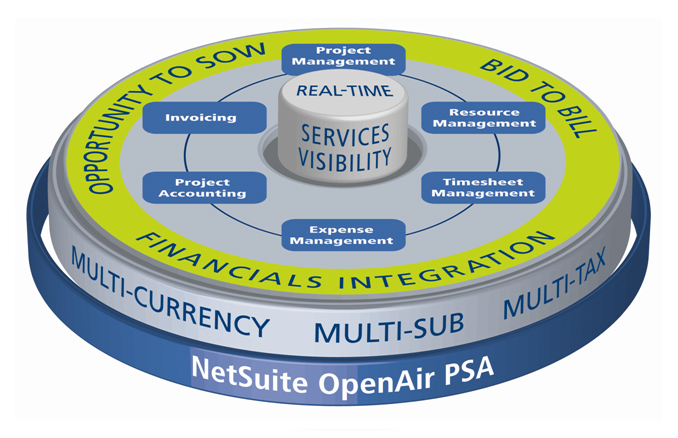 NetSuite OpenAir is the world’s leading Professional Services Automation solution including resource management, project management, project accounting, timesheet and expense management. NetSuite OpenAir increases visibility into your professional services organization, improves resource utilization, streamlines invoicing and billing, elevates on-time project delivery and drives profitability. NetSuite provides SuiteAnalytics as a standard feature, giving businesses the power of built-in real-time dashboards, reporting and analysis—integrated right into the ERP, CRM or ecommerce application that employees use every day—to drive true operational insights. NetSuite’s proven secure, reliable and scalable SuiteCloud platform delivers the customization and extensibility you need to make NetSuite your business management platform of choice for your current and future needs. And with SuiteApp.com, you gain access to an online marketplace of value-added integrated cloud solutions to power specific business processes or meet industry-specific needs. 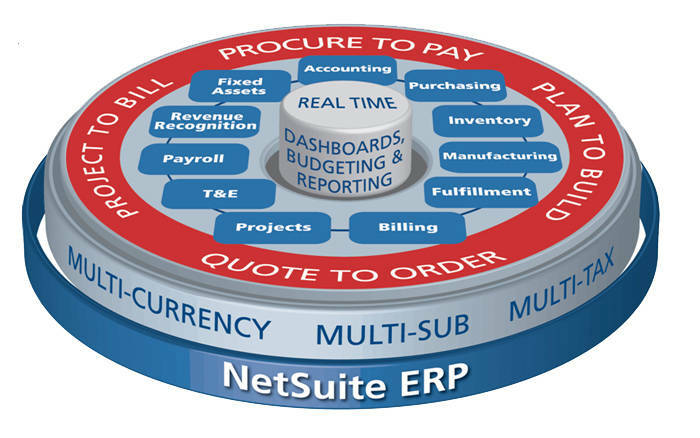 NetSuite ERP takes your business beyond traditional accounting software by streamlining operations across your entire organization and providing you with the real-time visibility you need to make better, faster decisions. Companies with specific General Ledger needs benefit with NetSuite’s advanced GL customization. Follow US GAAP, or local standard, when entering sales transactions and other revenue sources. NetSuite 2015 handles RFQs with accurate tracking of proposals and responses. Multiple RFQs capabilities for competitive bidding. Monitors global pricing and purchasing histories without manual data entries. 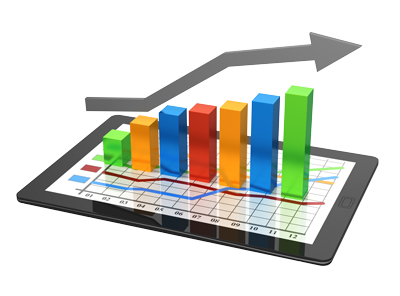 NetSuite 2015 is designed for easy recording and reporting of depreciation expenses. Suited for retail and manufacturers. Delivers concise and accurate information on a wide-range of batch and product cycles. Varying products closely monitored during cycling. Mass updates on components/locations without manual entries. The software was developed to perform efficiently in an array of industries, such as wholesale distribution, manufacturing, media/publishing and retail. NetSuite Customer Relationship Management (CRM) software is the only cloud solution that delivers a real-time 360-degree view of your customer. 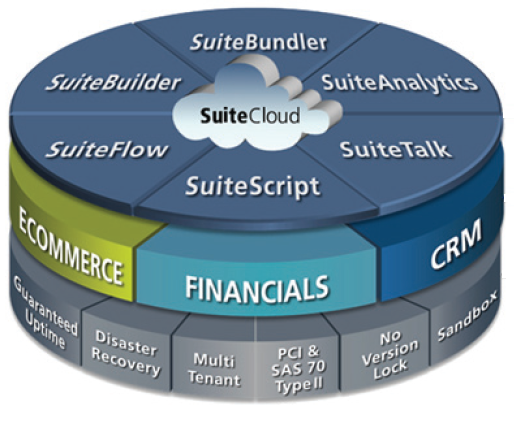 NetSuite’s CRM and ERP are “ONE” software, so it’s not a clunky integration like other traditional CRM/ERP integrations. NetSuite provides information across the entire customer lifecycle from lead through to opportunity, sales order, fulfillment, renewal, upsell, cross-sell, and support. Ready to take a step forward and leverage your business? If you need more information, take advantage of our resource center or contact us to set a Demo or ask questions!